Leylines is a 4X game, a turn-based strategy game of exploration and conquest. 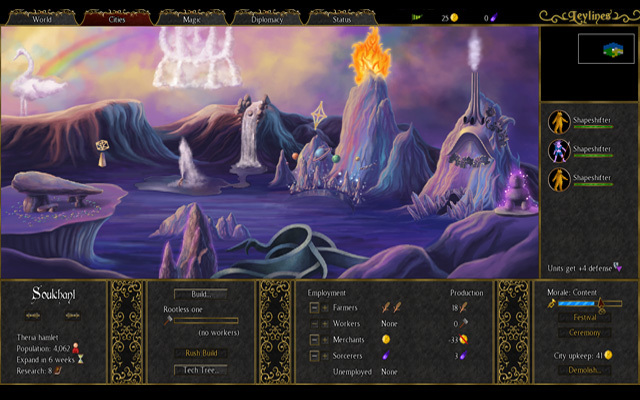 The game features seven unique races with each their own tech tree; over 180 units in total, including summons and customizable hero units; and 90 diverse spells. 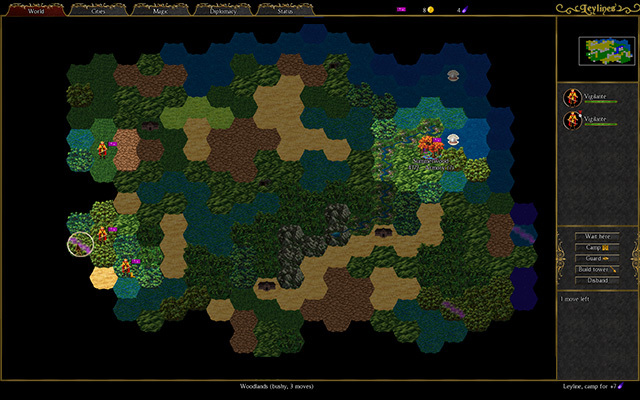 Fast gameplay that avoids micromanagement; tactical terrain effects; and local multiplayer with hotseat and/or splitscreen. Hi. First of all, thank you for such a great game! Unfortunately I gave the same problem as Athanasius. Hi there! 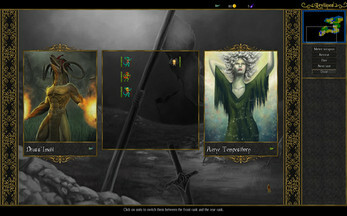 Just so you are aware, the game has been rebuilt in Allegro. Could you please redownload and try running it again, and report back if there are any issues? Thanks! Hi, I just bought your game. Unfortunately it won't start properly: The game seems to open in the background, I hear the crystal-shard-"hymn" but nothing more happens. the game appears on the taskbar but if I click on it, there only appears a black square in the left corner of my screen and my mouse pointer get's "captured". If I push a button, the music changes but I'm not able to see anything. I really liked your 2007-version of the game - strange enough this quite ancient version (which I still have) works without any problems. Win 7, AMD Radeon 5800.
edit: on my other pc (an ancient Alienware m17x) it works.